The book starts at the Singer UK TV show with Corey & Angel both awaiting their fates. They've been watching each other from afar throughout the competition, but being competitors for the same title, Corey kept his distance. When things take a turn and the two are thrown together to form a boy band or go home, they start to let their dreams and attraction to each other bloom. Corey is an interesting character, he is out as far as being gay, although his persona is the bad boy rocker. He's not quite in your face about being gay, but he IS a bit closeted as far as being on the autistic spectrum. Angel is the "gay one" in this band with his guyliner, bleached blond hair, and skinny jeans. There can only be one "gay guy" in the band, at least that's what they're told by their mentor. Can Corey merge with these other people and be a cohesive unit? Can he keep his attraction to Angel quiet? Does he want to? I felt the story was sweet. The group of boys are eclectic but supportive. I liked the take on the other contestant, Hannah, and her being Corey's beard for the show. The autism aspect of the book was interesting and I felt portrayed well. It made me feel what Corey might have felt with the scratchy materials and the overwhelming crowds would do to a young man with autism. Angel was a sweetheart and helped to ground Corey and his freak outs, which made me love Angel's character all the more. While I felt like the book was a bit formulaic, it was a quick read with enough diversity to keep me interested throughout. 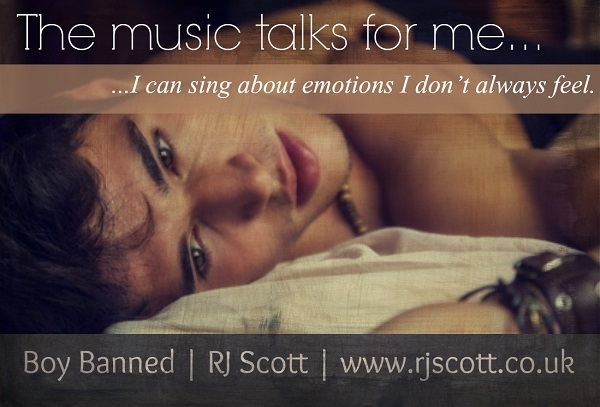 I was very interested to see how the singing contest part of the story played out (rather than the romance) and I felt that it is written with great wit, and probably very near to the truth! I liked that dimension, and the impact of being in the public eye. Although the story is about Angel and Corey, the rest of their band mates prove to be good sorts and supportive in the extreme. When such a disparate group is brought together, one would not expect such depths of friendship and loyalty to develop, but they do. 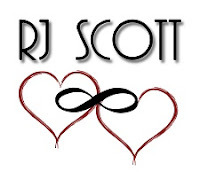 RJ Scott does an amazing job of uncovering bias, narrowmindedness, and other less pleasant traits too. As Corey and Angel get closer, and deal with all that is being thrown at them publicly, one can only be hoping they stay the course, whatever the outcome of the competition. Another winning read from an author in form. Thank you! 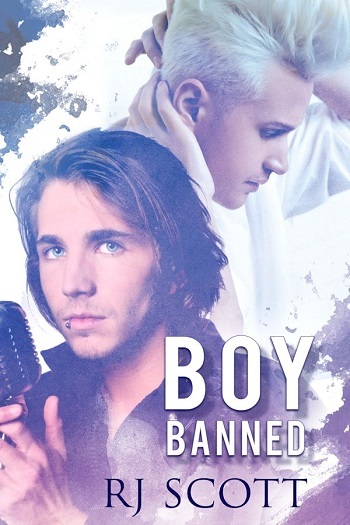 Reviewers on the Wicked Reads Review Team were provided a free copy of Boy Banned by R.J. Scott to read and review for this tour. No, I haven't. I think it would be fun though!